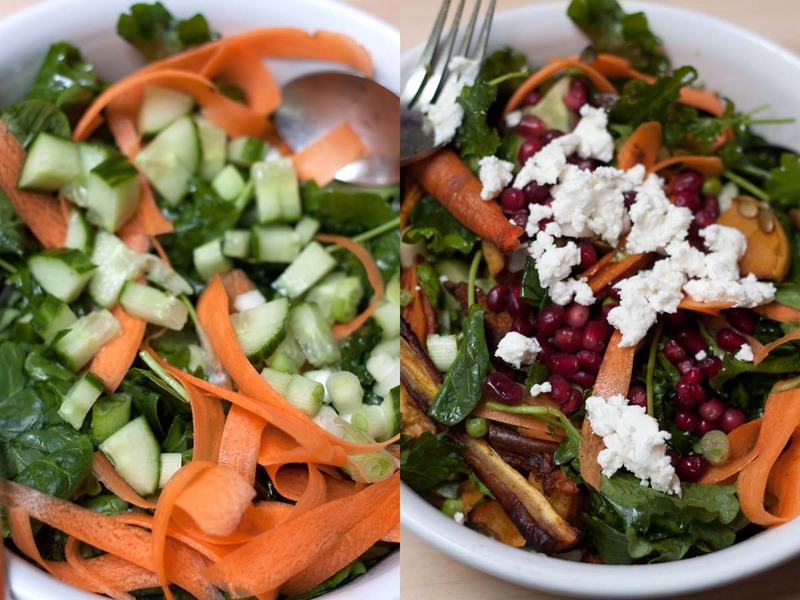 One of the many reasons I love the return of Spring is the unlimited amount of salad I can make and consume – throw me some greens, some cucumber and avocados and I’m good to go for lunch from March to September. Salads are not only healthy but they are also a fabulous quick meal to rustle up, and there’s nothing I love more than a quick meal when you’re really hungry and want something good to eat, especially when you find surprise leftovers in the oven – you know the ones, where you cooked up some Sweet Potato fries the night before but didn’t finish it all off and went into a food coma. Yep, that one! 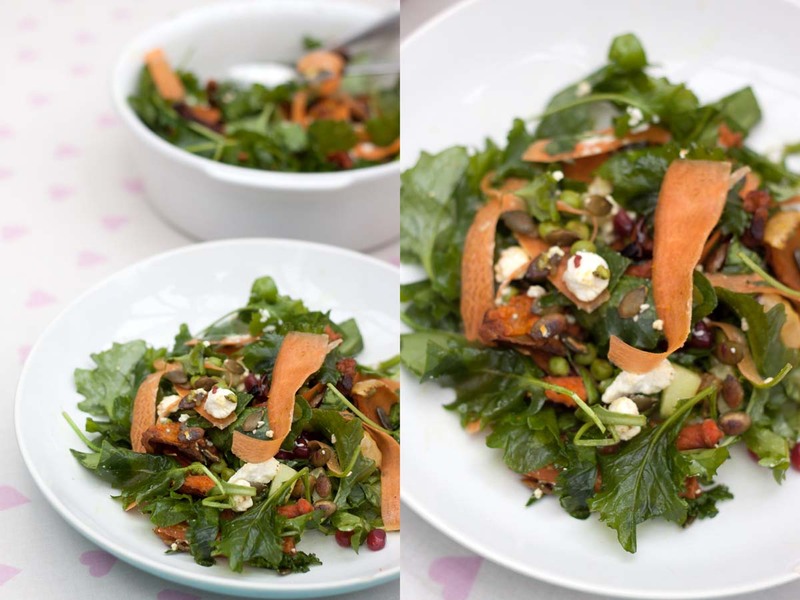 I love adding in hot elements to my salads such as veg, and usually in the evenings I work a sprinkle of kale for some crunch and added superfood goodness into my greens, however I was so excited when Florette told me about their new Baby Kale launch*, a soft and tender nutrient boosting leaf to add to your salads or sandwiches for an extra health kick. The kale is very similar to Rocket (minus the very peppery taste) in its soft leaves so you don’t get the crunch of baked or steamed kale, however there is still that great earthy yet fresh taste that comes with the Kale leaf so it will instantly add flavour and texture to your bowl. With a new bag of salad to try (#excitedsaladloverforlife) and a rumbling stomach for some quick leftover lunch, only one thing was going to happen…..
1. 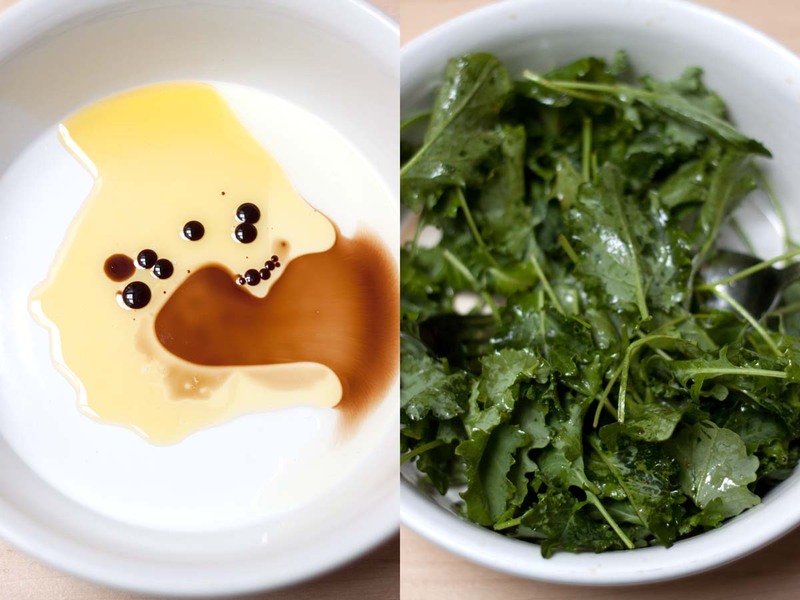 Drizzle the Olive Oil, Lemon Juice and Vinegar into a serving bowl, and toss the Kale through the dressing to cover evenly. 2. Take 2 small handfuls of Spinach and roughly chop before mixing into the kale. 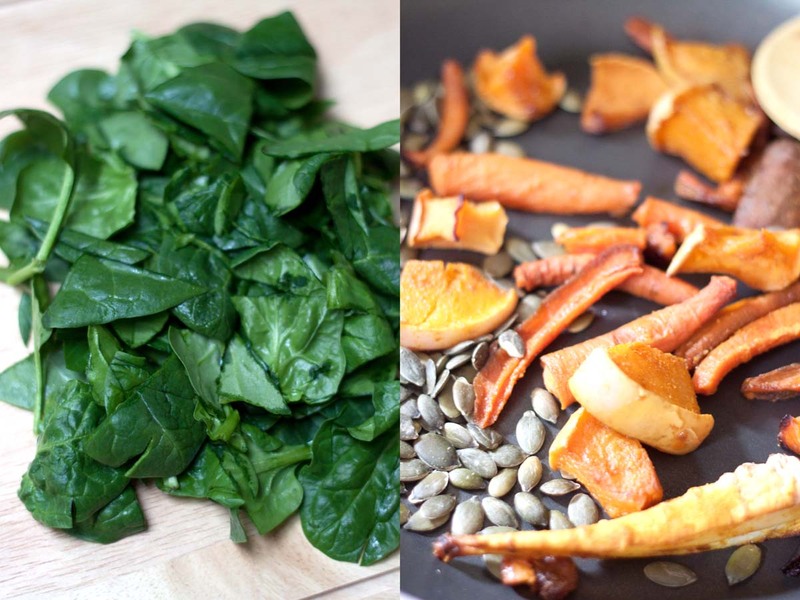 Add your leftover veg into a dry frying pan with some pumpkin seeds and allow to heat up and toast lightly. 3. As everything cooks, peel some strips of carrot and dice up the cucumber and spring onions to add into the leaves. 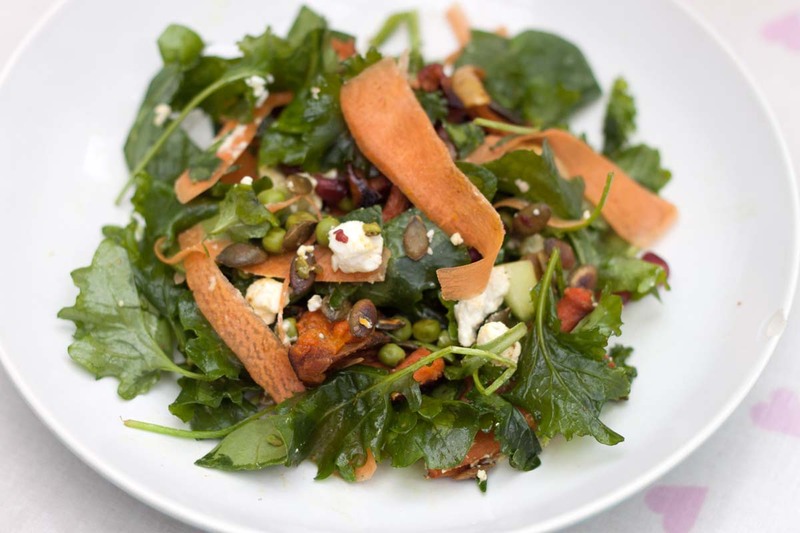 Add in the roasted veg and top with crumbled feta and pomegranate seeds, lightly mix together and then serve up! 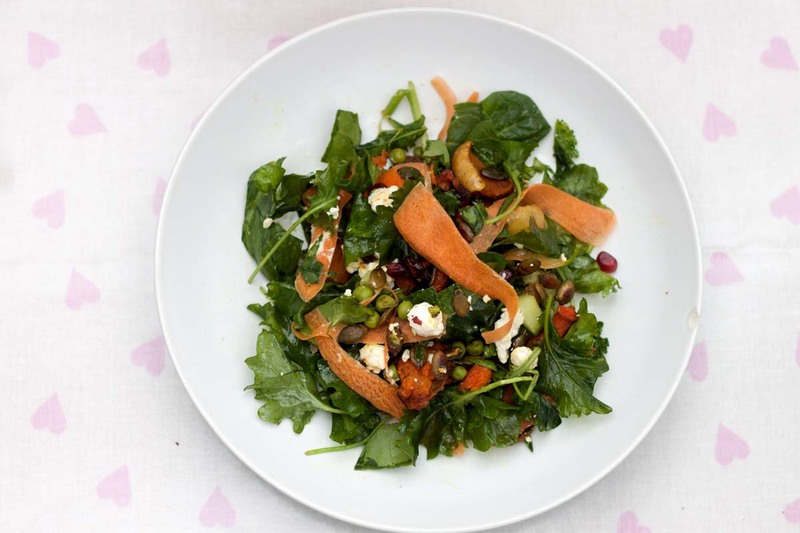 Super duper easy and amazingly tasty, you can’t go wrong with salty feta and fresh pomegranates which contrast beautifully against the Baby Kale’s peppery nature. The varying textures, filling vegetables and fresh leaves make this a fabulous spring salad to whip up in no time, and it certainly won’t leave you in a food coma or forgetting it in the fridge! 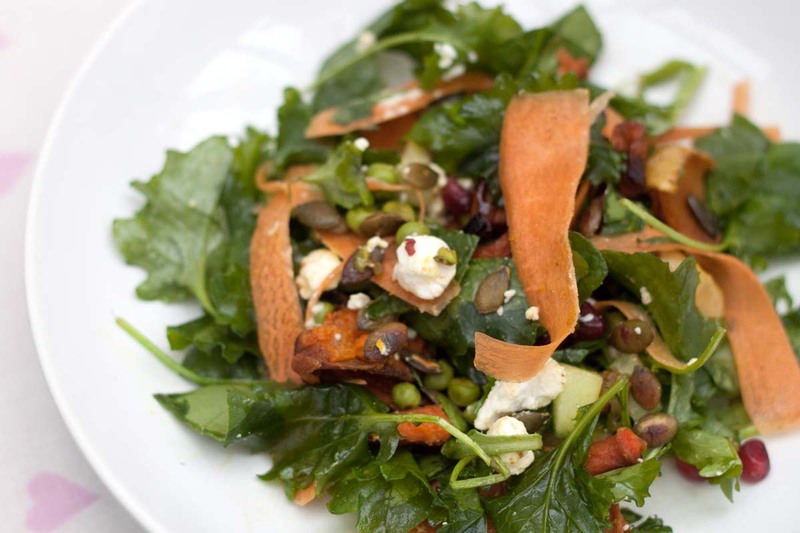 Spring salads, welcome back. 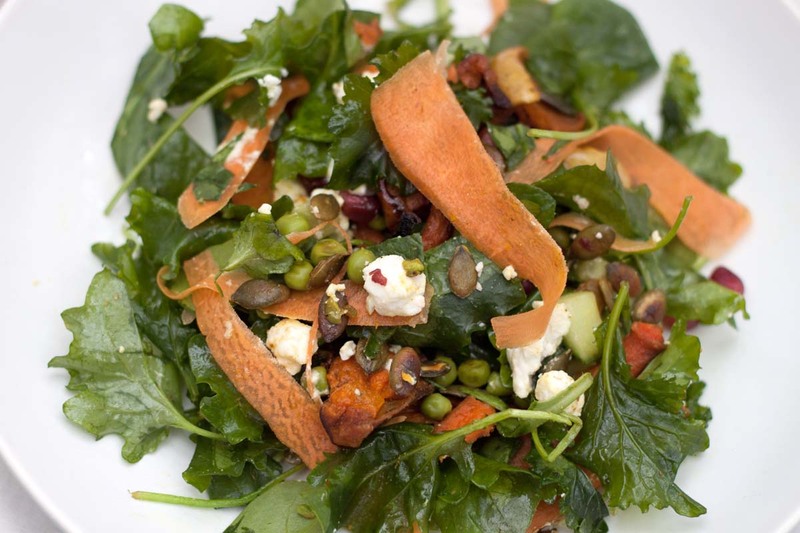 Are you a fan of salads? 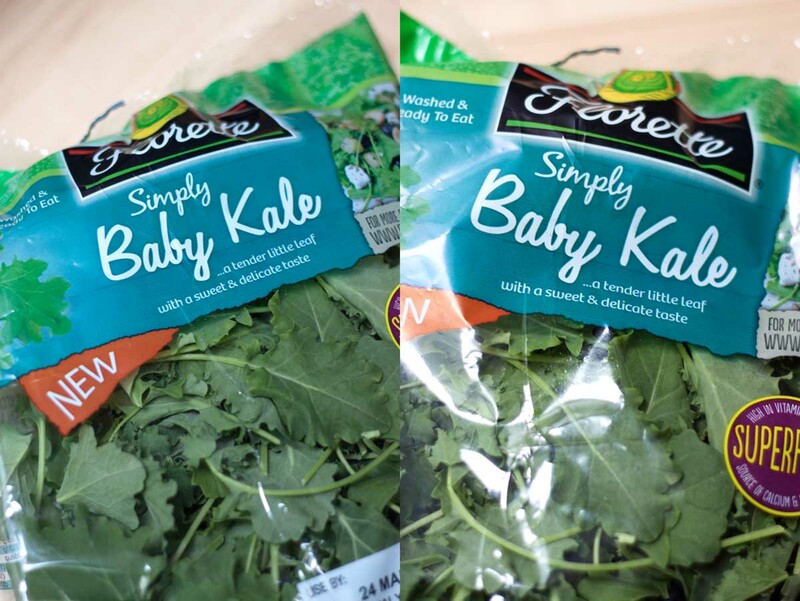 Have you tried Florette Baby Kale? What is your favourite Spring food? This is a sponsored post in collaboration with Florette. All views and opinions are my own, especially since I eat salad every day and know a good one when I see it. See below for more.